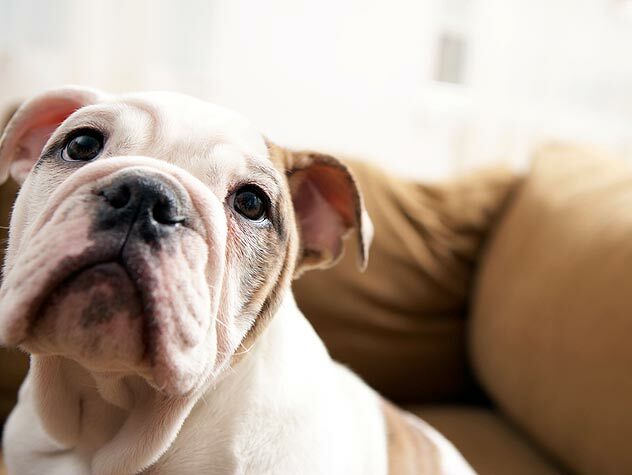 Whether you’re bringing home a new puppy or a rescue dog, there are some things you can do in your home to avoid problems and make the homecoming more comfortable for your dog. One of the first things you need to do is shop for dog supplies. There are a number of things you’ll need. If you already have at least one dog, you may already have these. If not, you’ll want to buy several. A dog collar is one of the most basic items you’ll need. Collars come in different widths and lengths to better fit different sized dogs. Choose one that won’t leave a lot of excess strap that could get in the dog’s way, get caught on something or even allow the dog to chew it. A dog harness is also an option. Many people and dogs prefer a harness because those that are designed to minimize pulling don’t put pressure around the dog’s neck. Generally, there’s a strap or plate at the chest that helps even out the pressure. A chest-plate harness like the one made by EzyDog is designed to discourage the dog from pulling while remaining comfortable. A dog leash is necessary for walking the dog, and can be hooked to collars or dog harnesses. There are a variety of types of leashes, including those designed for more than one dog and models like the EzyDog shock-absorbing leash for dogs that pull. This can be ideal for training and helping both you and your dog get used to walking together. For housetraining, puppy pads or potty pads can be useful. While some people never use them, others get the dog used to pottying on the pad indoors, while they slowly move the location of the pads toward the door and eventually outside. The pads can be useful for those who opt to paper train their dogs, like people who live in high-rise buildings where it’s difficult to get outside quickly when the dog needs to go. Dog bowls for food and water are obviously necessary. For larger breeds, bowls that are elevated are designed to help prevent a potentially fatal emergency called bloat. EzyDog’s folding dog bowl is ideal for taking along on walks, hikes and trips. A dog seat belt restraint keeps your dog safely secured in the back seat during car trips, while things like a dog mat can help keep your car seat clean. A dog life preserver in a size that fits your pup is also a good idea for dogs that will get to play in or near the water. Don’t forget things like dog toys for chewing and those for general play, shampoo, grooming supplies, a dog bed, and a crate if you plan to use one for housetraining purposes or other needs. Don’t forget to put small items and things like shoes where a new puppy can’t reach them until the dog is out of the teething and chewing phase.